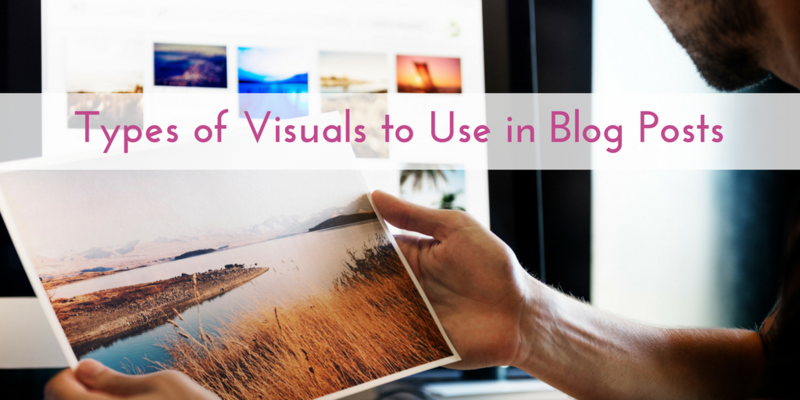 No matter what kind of a blog you write, visuals should always be your friend. Visuals are pleasant to your readers’ eyes and they help you keep your audience more interested and engaged with your content. In fact, posts that include visuals produce 650% higher engagement than text-only posts. As a result, people stay on your page much longer, decreasing that bounce rate that is too essential for your ranking placement in search results. Now, let’s discover the top 5 most effective types of visuals for you to use right in your next blog post. Believe us, you will see the positive results not long after its implementation. Also, just so you know, 84% of online communications is predicted to be visual by 2018. So, why would you lack behind, right? Right! Now, follow us! 87% of digital marketers already use videos in their content. Moreover, 51% of marketing professionals worldwide state that video brings higher ROI than any other type of visual content. What are you waiting for? Well designed infographics that are visually pleasant, fun and super informative have a very high potential to keep your blog readers engaged. According to HubSpot, 41.5% of marketers claim infographics to be the type of visual content that has the highest engagement. In fact, online readers like and share infographics 3x more than any other content. Wouldn’t you want your blog posts to be highly engaging, having a lot of likes and shares? Of course you would! Then, consider creating valuable infographics out of your data-rich content, to maximize the effectiveness of your blog posts. Easy! Just like infographics, data-driven visuals make your content more comprehensible for your readers. Each one of them will appreciate your efforts of presenting information in charts, graphs, diagrams, tables or any other data-driven visuals that are much easier to spot in a text and, let alone understand it. Well, it is not a secret that the majority (65%) of people are visual learners. Furthermore, according to QuickSprout research, blog posts with data-driven visuals rank 4th in respect to high social sharings. Online users just love sharing valuable content that is simply eye-friendly. Attention grabber: that’s the best word to describe this type of visual content. Screenshots are great visual props to include in your blog posts. They are super easy to attain and super effective in terms of reader engagement. Just bookmark a piece of information with a screenshot, and keep it for use in a related article of yours to share with your readers. Draw an arrow on it, a circle, or even an elephant as long as it adds more value in terms of showing and coaching. Screenshots are mostly used in step-by-step guides, checklists, tips lists and a lot more types of content, driving more reader engagement and satisfaction. Considering that the average person reads only 20% of a web-page and views every single image, you can see how useful screenshots will be in your blog posts. Rather than explaining something with words, try to show it visually. Your readers will love it, trust us! We couldn’t ignore this last but simply important and useful type of visuals: photos. Easily, a related photo image, be it a stock photo or an original one, can keep your readers reading on your blog posts. They are super eye-and-mind-friendly, engaging and fun. Photos are just great for showcasing your topic and the subtopics, and for keeping it all cool and fresh. Just like we did here! In fact, blog articles with images get 94% more views. It is amazing how effective a single photo in your blog post can be. Use them wisely, though. And, remember to make sure they look fit in the whole space of your article. Lessons learned?